We love the big square shape of these vintage feather filled pillows... and they're nice and firm, fine for a deep sofa or pair of chairs (or for floor cushions). Both measure about 22" x 22". 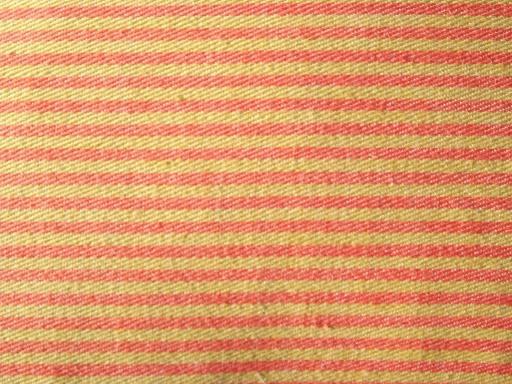 The 60s vintage ticking fabric is coral orange and tan, in very good condition without fading. 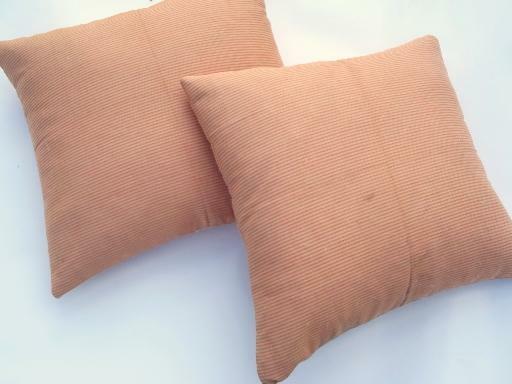 Both pillows do have a few surface soil marks, from being outside at an auction all day.